A delinquency petition was filed against M.W., alleging that along with another youth, he robbed an individual who had just left a local bar. The juvenile court, following an adjudicatory hearing, found that M.W. had committed the delinquent acts of robbery, conspiracy and related charges, but deferred adjudication to a later date. On the same date as the scheduled adjudication, another juvenile court judge adjudicated M.W. delinquent of a misdemeanor theft from a motor vehicle, and placed him in a facility for treatment, rehabilitation and supervision. At the adjudication hearing on the robbery later the same day, the first juvenile court judge found that M.W. was adjudicated on the theft from a motor vehicle petition, and as a result would receive treatment and supervision. It therefore discharged the delinquency petition on the robbery. The Commonwealth appealed to the Superior Court, which reversed, holding that a finding that a juvenile committed a delinquent act requires a finding of delinquency. An en banc panel of the Superior Court affirmed the panel decision. The Supreme Court then agreed to hear M.W.’s appeal. Because the Court was reviewing the Juvenile Act, its review was plenary and non-deferential. Both M.W. and the Commonwealth agreed that 42 Pa.C.S. §§ 6302 and 6341(b) required that two conditions have to be satisfied before a juvenile court enters an adjudication of delinquency: (1) proof beyond a reasonable doubt that the child committed a delinquent act; and (2) the child must be in need of treatment, supervision or rehabilitation. The Commonwealth’s problem with M.W.’s robbery case was that the juvenile court discharged the petition because M.W. was receiving treatment as a result of another case, and not because M.W. was not in need of any treatment. After observing that, “Regrettably, the Juvenile Act is not a model of clarity,” using time worn principles of statutory construction, the Court sided with M.W. §6341(b) requires that both findings be made before a child is adjudicated delinquent, and §6302 defines a delinquent child as one who is ten years or older who has committed a delinquent act and is in need of treatment. Pa.R.J.C.P. 101(C), 408 and 409 compel a similar result. This result applies even when the delinquent act is a felony, which presumptively supports a finding that a juvenile is in need of treatment and supervision under §6341(b). Even in a felony case juvenile court cannot make a finding of delinquency without allowing for other evidence. The Court remanded with instructions to the juvenile court to determine whether M.W. was in need of treatment, supervision or rehabilitation, and if not, to discharge the petition. 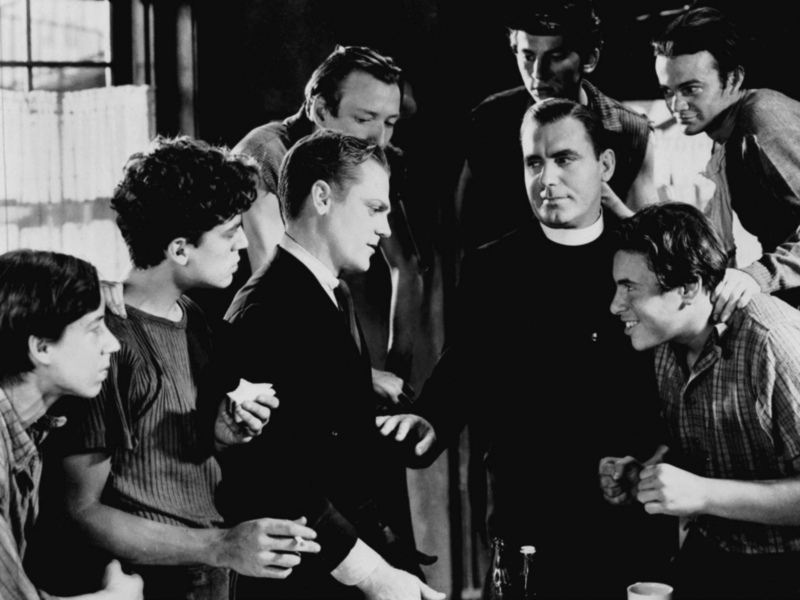 Picture from “Angels with Dirty Faces” (James Cagney, Pat O’Brien and the Dead End Kids) from moviesovermatter.com.